Straight talker. Community leader. Woman of words. Sally Davis’s career has seen her add journalist, airline PR, university lecturer, mayor and health-book author to her CV. 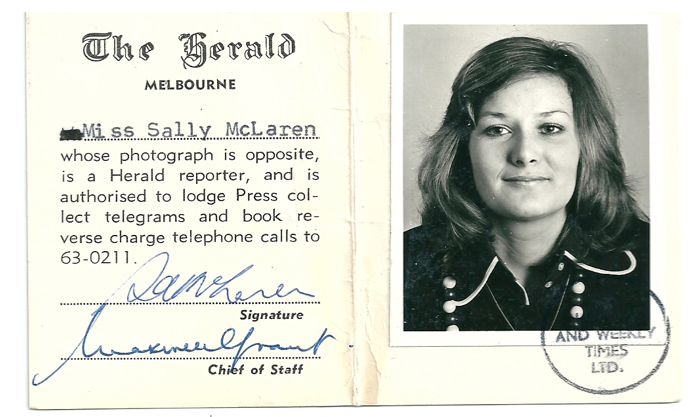 My aim was to become a journalist; at first I was refused a newspaper cadetship (only five were allocated each year) with The Age and The Herald, Melbourne’s afternoon newspaper. So I accepted a place at Monash Uni doing Economics and Politics. After first semester, I heard there was a vacancy on The Herald as a ‘copy girl’, a position that would lead to a cadestship after six months, so I applied again. This time I succeeded. Many of us were subjected to appalling examples of sexual harassment and bullying that would not be tolerated today. I enjoyed the experience enormously but it was not easy being a young woman, in such a ‘boys club’ environment like that. Many of us were subjected to appalling examples of sexual harassment and bullying that would not be tolerated today. On reflection, I think the experience shaped me in many ways, as I was not prepared to accept that treatment and fought it all the way. It was also around the genesis of the women’s lib movement led by the likes of Germaine Greer, and that gave me and many others, confidence to cut through all that nonsense. Yet female journalists were still not taken seriously – there were a couple of high-profile examples such as the late Claudia Wright – yet they were vilified. And after a while, I found it so frustrating, I decided to enter this exciting, (better paid!) field of PR. At this time, the profession was so new, there were no university courses for public relations and these jobs were filled by journalists. I was appointed the first female public relations officer at TAA – the domestic airline that was one half of the duopoly with Ansett. TAA was eventually absorbed by Qantas and sadly, Ansett’s demise is a well documented part of Australia’s aviation history. My time at TAA fuelled my interest in public relations and it was a very exciting time for Australian airlines and tourism. I joined an all male PR team of former journos who were marvellous colleagues and we were led by a wonderful boss, the late John Tilton. While at TAA, I became pregnant with my first child, so then established ‘Sally Davis Public Relations’ and TAA was my main client for around 10 years. 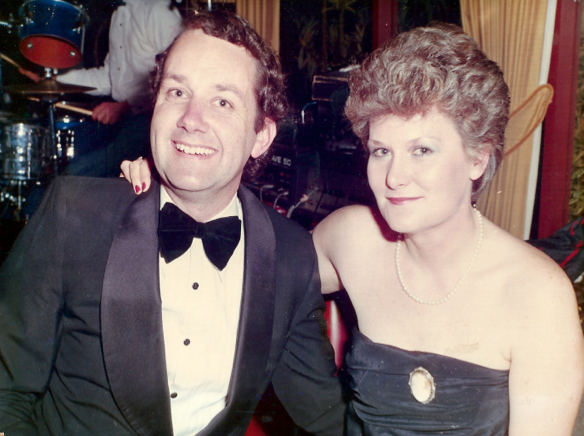 I began tutoring at RMIT PR course and later joined as a full time lecturer. 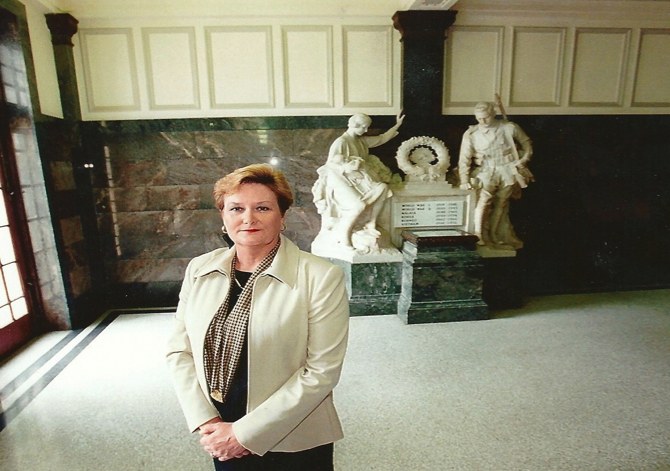 In 1999, I became involved in local community issues and was elected to City of Stonnington. In 2002, I was elected Mayor. This experience fostered my fascination with community and stakeholder relations, which tied in well with my PR background. After RMIT, I joined the Australian Electoral Commission as Manager of the Electoral Education Centre, and left in 2009 when the incoming Labor Government decided to close it down. In 2013, I was invited to sit on a Victorian Government panel, established to review the local government election process. Sadly, the change of government means the report is still sitting on a bookshelf somewhere. Former Liberal MHR, Petro Georgiou was Chair of the Panel, and has a reputation for being an independent, creative thinker. So this was a really stimulating, worthwhile experience and I sincerely hope most of our 55 recommendations are eventually adopted. Obviously you have a strong writing, communication and community engagement background – but how did this book, your first, on diabetes come about? 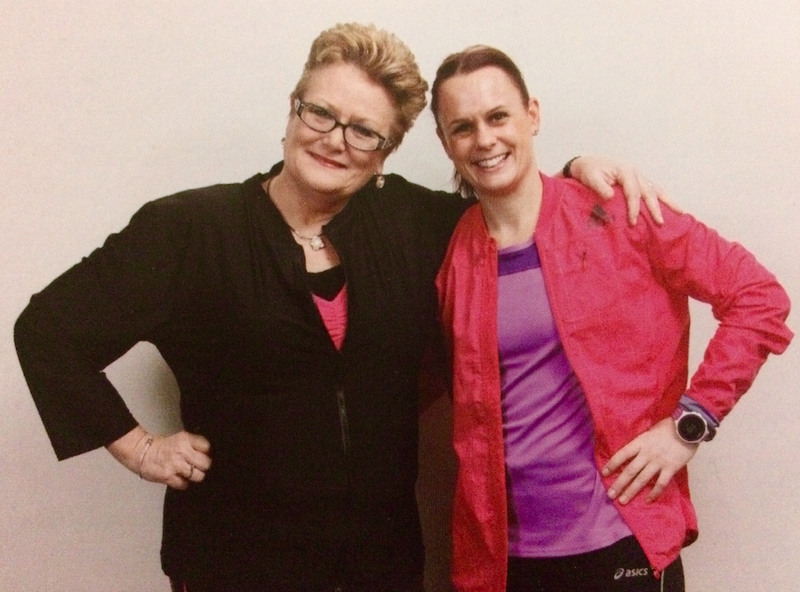 In 2009, I was diagnosed with Type 2 diabetes and several months later, with uterine cancer. The diabetes diagnosis was not really a surprise as I had gestation diabetes with both of my children. I was fortunate that is ‘disappeared’ for nearly 30 years before re-entering my life. At first, I was in denial, until my oncologist insisted I take the diagnosis seriously, so while I was in hospital, he sent diabetes educators to see me. I bumped into a former journo/now publisher mate about my diabetes and he said it would make a great book. So he hounded me until I agreed to write a book about my experience. In doing so, it was the first time I reached the stage of ‘acceptance.’ I dedicated six months research on overseas trends and developments, mainly because the publisher (Michael Wilkinson) sells his books in Europe, UK, USA and Canada. Writing books and educating people about health is very important – what message do you think isn’t getting out there properly or enough at the moment? There are too many organisations selling the same message: the Heart Foundation, the Stroke Foundation, Diabetes Australia – so consequently, the message is not reaching the right demographic or psychographic. One organisation should be aiming to connect with Gen Z, one with Gen Y, another with Gen X, and another should target Baby Boomers separately. And then we should be holding corporate Australia, and government to account! They should be encouraging their employees to exercise during the day, stretch at their work stations, use standing desks – anything to help encourage people to adopt a healthier stance. How ridiculous that it is accepted practice for smokers to leave their office several times a day to feed their habit – while non-smokers are not granted any extra time. They should be rewarded for not smoking and be encouraged to take up a 30 minute Pilates or stretching class each day. So many employees sit at their desk to eat lunch and might take a 30 minute break from their desk if they think about it. How ridiculous that it is accepted practice for smokers to leave their office several times a day to feed their habit – while non-smokers are not granted any extra time. I believe this should be approached in the same way as any educational PR campaign: research the audience and devise ways to reach them and help change their behaviour. Most people simply don’t understand the ramifications of developing diabetes. With it comes an increased risk of cancer, heart disease, stroke, blindness – and now even Alzheimers, which scientists have dubbed Type 3 diabetes. More women die from heart disease and stroke than breast cancer – but so many women don’t realise this. Do you have a favourite or memorable meeting/discussion/experience in writing the book that you can tell us about? The best part of writing the book was finishing it! It’s the first book I have written and that is a major accomplishment for me. Every journo dreams of writing a book one day, but I didn’t think mine would be about diabetes. I received a lovely email from a woman in the UK who bought my book at Sainsbury’s. She told me how much it inspired her and thanked me for writing it! That was so rewarding. And there has been encouraging feedback from people who found it easy to read. Best of all, they like my recipes! I have always been a healthy cook, but it is so exciting when people say how much they enjoy preparing my minestrone soup or other recipes. I wished I continued a more active life outside work and family. I did the ‘Jane Fonda’ aerobics classes in the 1980s , but I didn’t continue. I used to play tennis when I was younger but let that go, too. My research shows that exercise is an integral part of managing so many afflictions we develop as we age. And it is so important for mental health, too. Now I have a better understanding of diabetes, I know that glucose levels are controlled by simple, but regular ‘compound’ exercises with hand weights. Just doing 15-20 minutes of these exercises can make such a difference to fitness levels. As a fairly ambitious person. I sometimes wish I had done more with my career. But I made a choice to fit my profession around my family commitments and I now I am very pleased I did that. Not until you reach a certain age, do you realise what really matters. For me, that is my family, and close friends who have been there for me when I needed them. Is there anything you have done a bit differently to others that has led to a great success? If there is one person you could sit down and talk with about this book, who would it be and why? Dr Margaret Chan, the Director-General of the World Health Organization. I would like to know what the world health community is doing to counter this epidemic of diabetes. How third world countries like India and China have allowed Westernised fast food infiltrate the lives of so many people. I would implore her to call on governments throughout the world to do more to reach their citizens and educate them about the damage their unhealthy lifestyles is doing to them. I would ask her to insist that government and industry take a stand to help employees improve their lifestyle. What single thing you would like people to learn, know or understand about health and/or diabetes? So many people are in denial; like I was. I want people to know that Diabetes is an awful affliction that can lead to heart attacks, stroke, blindness, and kidney failure. It is not just a premature death, it is the impact it has on your quality of life if it’s not properly managed. In five words, how has writing this book made you feel? Empowered. I am more resolute. You get can purchase Sally’s book ‘Women’s Diabetes’ online at the Wilkinson Publishing website, or follow Sally on Twitter at @DavisConcept.